A new TV show would have us believe a powerful hypnotist can make us do whatever he says while we are powerless to resist or even realise. Channel Nine’s new game show You’re Back in the Room debuted to high ratings on Sunday night. Based on the British show, the contestants work together to complete challenges for cash. But to make it interesting, they are hypnotised and given increasingly outrageous suggestions to thwart their attempts to complete the challenges. During a musical challenge, for instance, the hypnotist suggests one contestant is a pop star, another is Elvis, a third is an air guitar champion and the fourth loves the show’s host. Also, whenever music plays, all of them will dance like nobody’s watching. The contestants’ flamboyant responses undermine their attempts to answer the questions. Meanwhile, the audience laughs at the supposedly hypnotic antics. 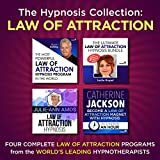 This program would have us believe a powerful hypnotist can make us do whatever he says and we are powerless to resist or even realise. This is inconsistent with over 200 years of evidence from the science and practice of hypnosis. The show’s hypnotist is presented as a powerful figure, introduced with flashy effects, zippy sounds and a futuristic animation of buzzing neurons. He tells us that hypnosis is “a form of mind control”. This isn’t borne out by research evidence. The sometimes remarkable things that occur during hypnosis are almost entirely due to the abilities of the hypnotised person and not the hypnotist. We have known for more than 200 years that people differ in their ability to experience hypnosis. Between 10% and 15% of people are highly hypnotisable and respond to almost all hypnotic suggestions. Another 10% to 15% are low hypnotisable and rarely, if ever, respond to hypnotic suggestions. The rest of us - 70% to 80% - are medium hypnotisable, responding to some but not other suggestions. It’s this hypnotic talent that determines response to suggestions rather than any special powers of the hypnotist. In the show, the host and hypnotist never mention hypnotisability and we don’t know how the contestants were chosen, what instructions they were given or what happened backstage. We do know that only the most highly hypnotisable people experience extreme cognitive alterations during hypnosis, such as believing they are someone else or seeing something that isn’t there, as contestants appear to do on the program. This pattern of extreme hypnotic responding is actually very rare. Further, contestants are portrayed as mindless automatons, slumping almost to the floor when the hypnotist says “sleep”, forgetting prior suggestions and uncritically doing his bidding. This is inconsistent with what we know about people’s experiences of hypnosis. While it’s true hypnotised people sometimes experience amnesia for all or parts of a hypnotic session, this seldom happens spontaneously and usually is the result of a specific suggestion by the hypnotist to forget. Regardless of whether people later forget what happened during hypnosis, we know hypnotic participants are willing collaborators, aware of what is going on around them and typically able to stop responding when they choose. Why else would they behave like this? But there are many explanations for contestants' behaviour that have nothing to do with hypnosis. These include them being encouraged by the cameras to be entertaining and increase their chances of winning; positive reinforcement from the audience in the form of applause and laughter; and strong stereotypes and expectations about how people should behave on these types of shows, as well as under hypnosis. Researchers have highlighted the need for caution when attributing behaviours to hypnosis. In a clever experiment conducted at the University of Sydney in 1965, Martin Orne and Fred Evans gave genuinely hypnotised people, and people asked to fake hypnosis, extreme suggestions to pick up a dangerous red-bellied black snake, put their hand in a jar of acid and throw acid at an experimenter’s face. People in both groups - hypnotised and faking - carried out all three actions. Later they said they did these things not because they were hypnotised but because they knew it was an experiment and they would be safe. We don’t need to reach to hypnosis as an explanation for their behaviour. The social demands of the situation are explanation enough. We aren’t implying all hypnotic behaviour is faked, but the above research shows it’s easy to attribute such behaviour to hypnosis when it may play little or no part at all. Unscientific and exaggerated representations do hypnosis a disservice. In contrast to the showy artefact of stage and television hypnosis, researchers and clinicians have carefully revealed compelling ways in which hypnosis genuinely influences thoughts and behaviours leading to a better understanding of the human mind. In the clinic, hypnosis can provide effective relief for psychological and physical symptoms. Psychologists and medical practitioners have used hypnosis to help treat conditions including anxiety, depression, habit disorders, trauma, and acute and chronic pain. Indeed, economic and meta-analyses show that hypnotic treatments can have long-lasting effects and cost half as much as some traditional treatments. For instance, pain researchers have argued hypnosis could be a first-line treatment for chronic and other pain because it is low cost and has virtually no side effects. But based on misinformation about hypnosis in programs such as You’re Back in the Room people may be less likely to accept a clinical treatment involving hypnosis, even when it can help them. Given the demonstrated value of hypnosis in clinical and other settings, this would be a terrible shame.